Solidarity Demos with Pat - come along! Having travelled from Dublin on Friday to visit Pat O’Donnell in Castlerea Prison, I was encouraged by Pat stating that he was well treated and well respected by prison staff. However, it is an outrage that Pat O’Donnell finds himself in prison at all. He is a victim of the criminalisation of decent people involved in peaceful protest in Erris which highlights the handover of an entire natural resource to a multinational corporation, with not a cent in royalties for the Irish people. A motorised convoy of 99 cars took part in a rally yesterday in support of Pat O'Donnell. The rally went from Mr O'Donnell's homeplace at Porturlin, traveled through much of Erris, and finished at Ballyglass Pier fishing port. Mr O'Donnell was sent to Castlerea prison recently for seven months for his opposition to Shell and protecting his community. Pipe Down is an hour long documentary that tells the story of a rural community in Co. Mayo in Ireland, who have been battling the oil giant Shell over their plans to put a dangerous raw gas pipeline through the community and complete construction of a gas processing terminal that is a threat to their delicate environment. 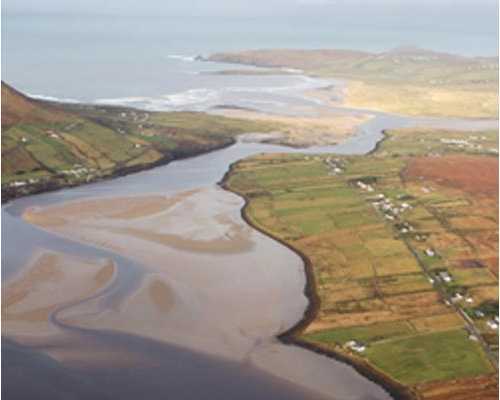 THE DEPARTMENT of the Environment has received more than 130 submissions in response to a foreshore licence application by Shell EP Ireland for investigative work in north Mayo’s Sruwaddacon estuary. The company aims to drill up to 80 boreholes in the estuary, which is a candidate Special Area of Conservation (SAC), as part of site investigation work for the Corrib gas onshore pipeline route. The work, costing between €5 million and €10 million according to the company, will take place over a five- to seven-month period in the narrow intertidal estuary running between the communities of Rossport, Glengad and Pollathomas. Late last year, An Bord Pleanála suggested that the Corrib gas developers might explore the estuary as an alternative to a modified onshore route. The board found half of the modified 9km route to be “unacceptable” on safety grounds, due to proximity to housing in Rossport and between Glengad and Aughoose. Shell consultants RPS had ruled against running the high-pressure pipeline through Sruwaddacon on environmental and technical grounds two years ago.